Our printed shirts are a generous, stretchy lightweight blend of bamboo & cotton. Fit is true to size. Expect some shrinkage unless you wash in cold water, air dry. 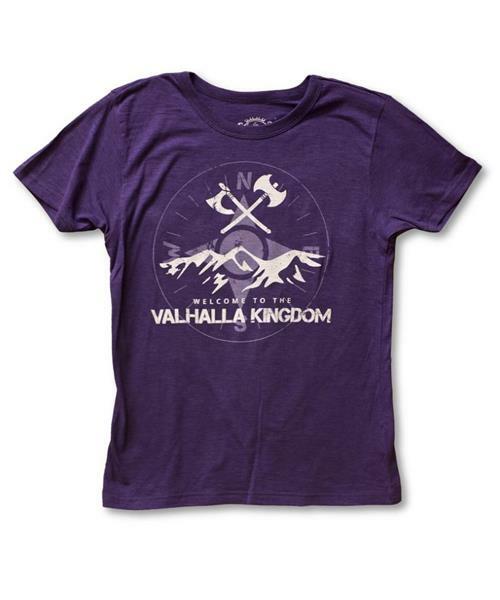 "Compass and Axes" is a local design celebrating Valhalla Pure's Viking and Mountain Adventure heritage.